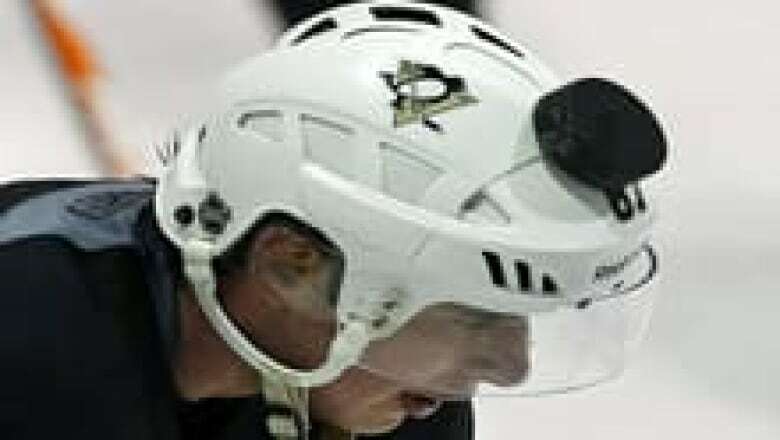 Wearing helmets and mouthguards may encourage players to take greater risks in the rink or on the field. Wearing helmets and mouthguards may encourage players to take greater risks in the rink or on the field, says an international group of concussion experts who continue to recommend protective gear to protect against head and facial injuries. The fourth revision to the Consensus Statement on Concussion in Sport was published in the April issue of the British Journal of Sports Medicine. It offers a practical guide for health professionals who assess athletes. "There is no good clinical evidence that currently available protective equipment will prevent concussion," the panel of 32 experts concluded. Mouthguards have a definite role in preventing dental injuries and injury to the mouth and face. "An important consideration in the use of protective equipment is the concept of risk compensation … where the use of [this] equipment results in behavioural change, such as the adoption of more dangerous playing techniques, which can result in a paradoxical increase in injury rates," the authors wrote. Research on biomechanics did not show a reduction in concussions — from rattling of the brain inside the skull — with use of head gear and helmets. The document is based on the panel's deliberations last November on the latest research on brain injury in sports such as boxing, skating, hockey, horseback riding, rugby, and football, where the risk of concussion is high. The statement also clarifies the definition of concussion to emphasize that a player does not have to lose consciousness for an athlete to be pulled from play. Researchers from the University of Calgary who contributed to the document also considered changes in how sports are played, including rule changes, more padded gear and differences in playing surfaces. The panel also suggested a gradual return to school, social and physical activities as "a sensible approach," but that athletes should receive medical clearance before returning to competition. "Typically, we see around 80 per cent of athletes will be recovered within about a week to 10 days," said panel co-chair Dr. Willem Meeuwisse, leader of the University of Calgary's Brain Injury Initiative. "What's changed is in the past, we would say if you're not better, well 'get more rest.' And now we're recognizing that in the 20 per cent or so who are not recovered by 10 days, that often there are other things that are going on that require a more detailed assessment and often can benefit from rehabilitation." The International Olympic Committee, FIFA, the International Equestrian Federation and the International Rugby Board have all signed on to the latest version. The documents include a Q&A, a pocket symptom checker and assessment tool and advice on injury prevention. What are the most effective risk-reduction strategies in sport concussion?